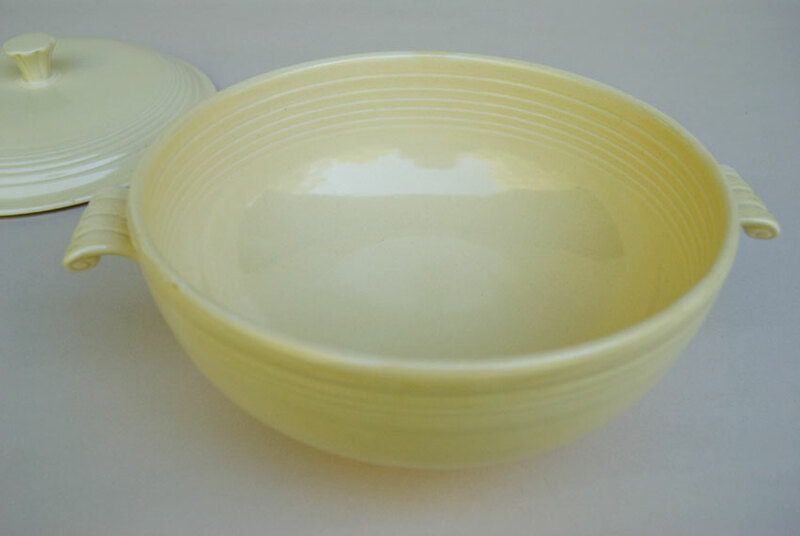 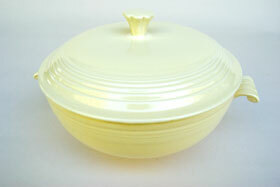 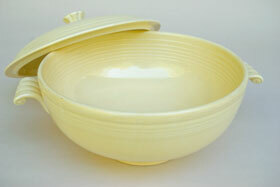 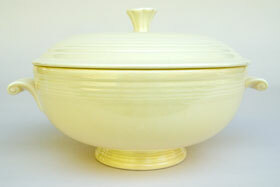 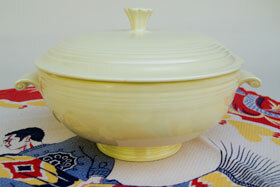 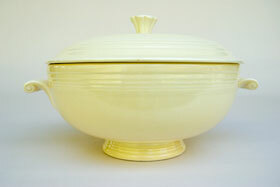 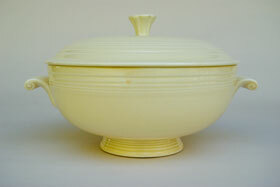 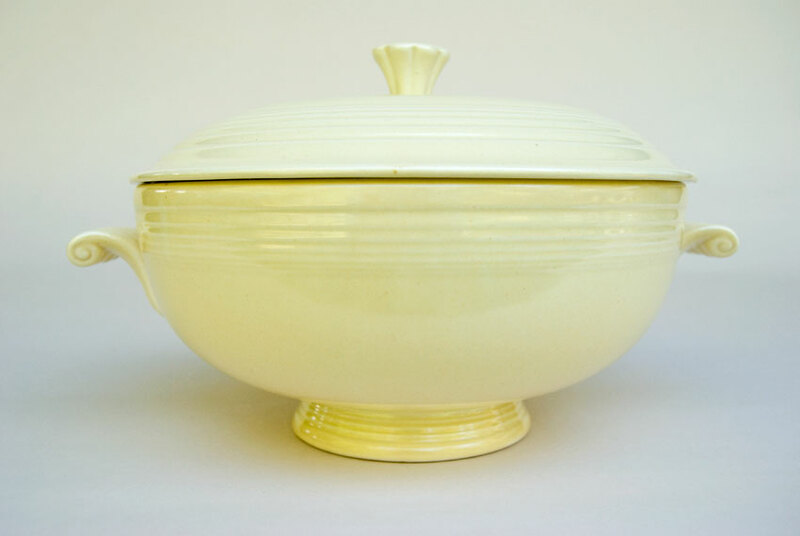 Circa 1936-1951: The vintage Fiesta casserole, with it's scroll handled and finial top, shares it's design with both the sugar bowl and the covered onion soup bowl. 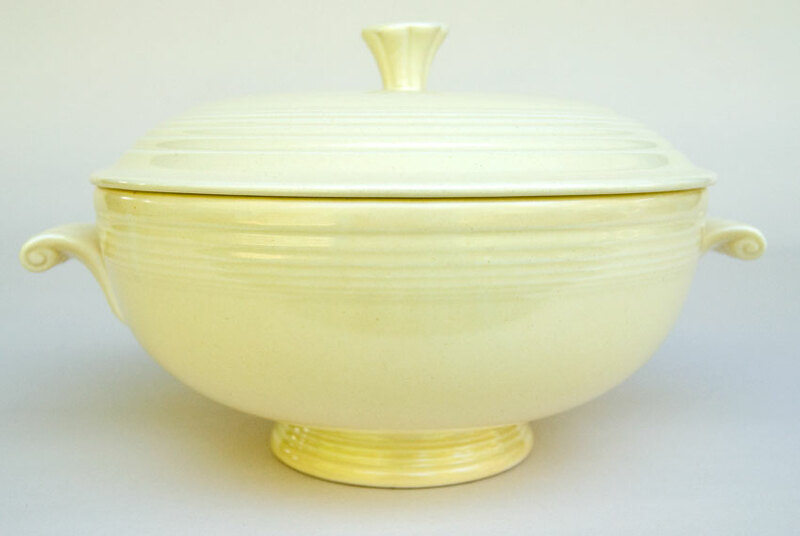 The earliest versions have a hand applied foot, like the early footed sald bowls and 12" comports. 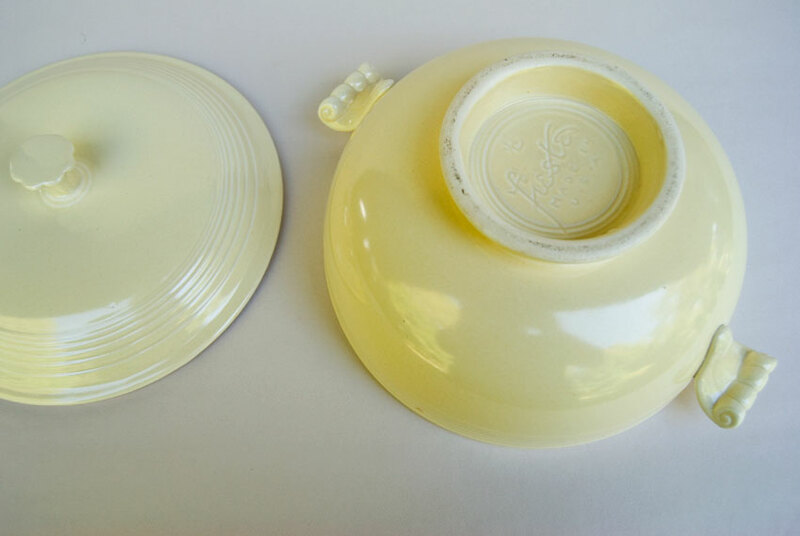 In November of 1936 the mold was changed to include the foot, which was then hand turned on the jiggering machine. 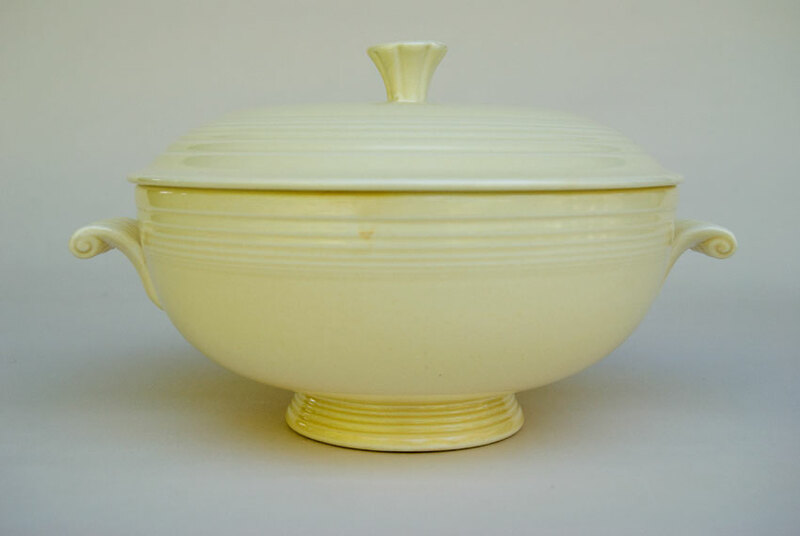 Throughout it's entire production run (which extended to 1969, ivory was discontinued in 1951) the scroll handles had to be attached by hand. The ivory covered casserole is not easy to find in good shape and it took me a long time to find one like this good enough for my collection. 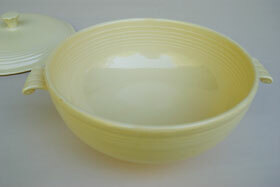 Excellent, clean, condition with no damage and no apparent use.